Imagine leaving your home to relocate to a distant land, never to return. What thoughts would cross your mind? What emotions would you experience? Now, imagine that the distant land to which you are to relocate is not even in this world! 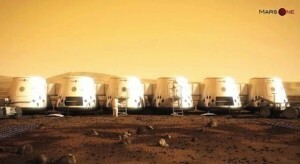 Well, if the plans being laid by a Dutch Company are successfully implemented, that is exactly the scenario that awaits four brave, adventurous humans in 2022 when they will depart planet Earth on a one-way trip to establish a human settlement on Mars – a planet they will call home for the remainder of their lives. 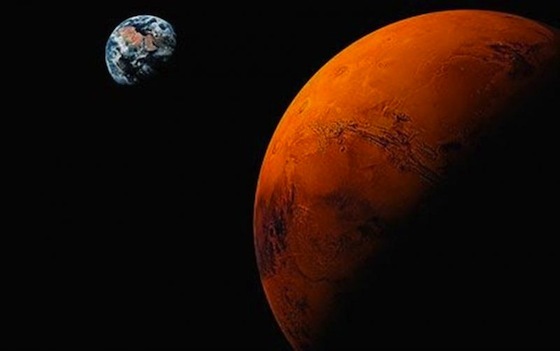 Led by Bas Lansdorp, a Dutch researcher who was a co-founder of Ampyx Power – an alternative energy startup, Mars One, as the initiative has been dubbed, has laid the groundwork for this epic mission, identifying potential suppliers for every project component. Additionally, a timeline has been established with astronaut selection beginning in 2013, a communications satellite and supplies launched in 2016, a rover transported in 2018, and a second rover and remaining supplies including living and support units sent in 2021. The rovers will take all materials and supplies to the settlement location and prepare for the arrival of the astronauts who will embark on September 14, 2022 and arrive at their new home sometime in April 2023. Taking a page from reality television programming like Survivor, the team planning the Mars One mission hopes to fund their project via the entertainment value of their endeavor. Using the Olympics as a model, they look at the marketing revenue generated by the Winter and Summer Games (approximately three weeks each) once every four years. In the 2005-2008 Olympic cycle, for instance, marketing revenue from all sources totaled $5.45 billion with the implication being that in the three weeks before and after arrival of the astronauts, audience interest should enable them to generate at least as much money. It sounds to this observer as if this entire project may be nothing more than a pitch for a new reality television program with prospective astronauts, like contestants on American Idol, being promoted by the votes of an engaged public. While the team may indeed be planning on making this mission a reality, they have a number of years (and perhaps, even more with “technical delays”) during which to earn marketing revenue from the selection and training process. One can only presume that some of those selected may decide to bail out of the program during training and new selectees may have to be voted onto the mission. I’ll let you form your own opinions. 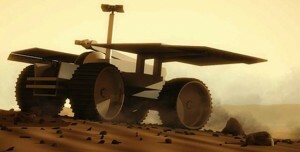 Below you can view a slickly-produced video from the Mars One website. Note the eery similarity to the film 2001: A Space Odyssey. If entertainment value can foot the bill for this project estimated at $6 billion, maybe we can pay the national debt with a reality show following the exploits of Presidential candidates and, after the election, the President himself.